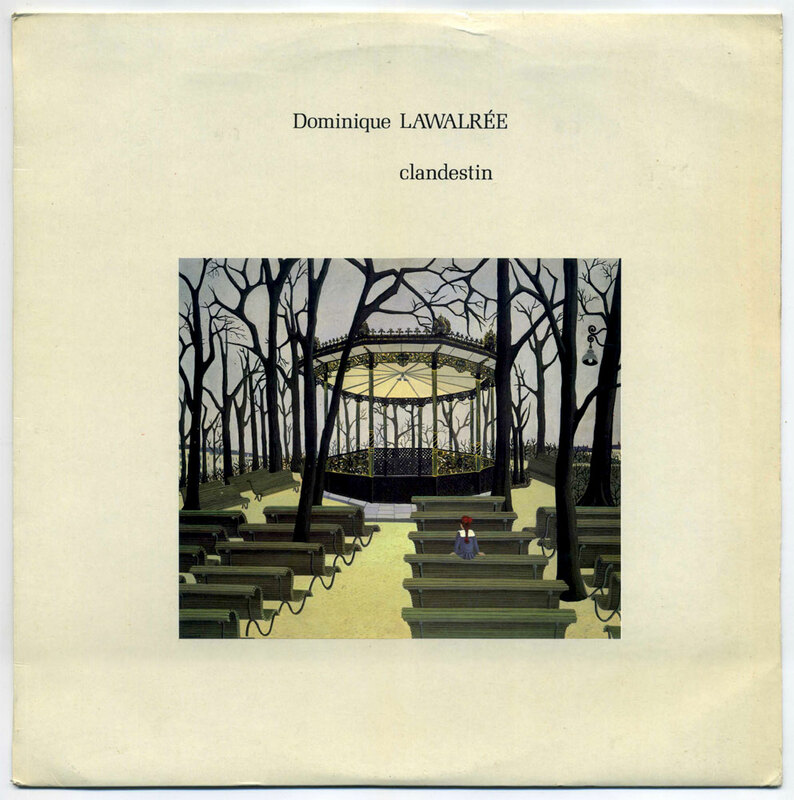 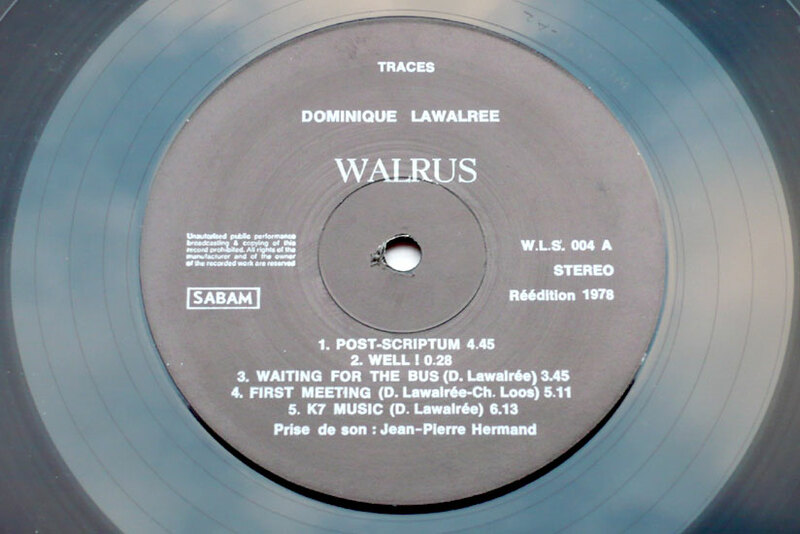 Apparently his 5th LP, Dominique Lawalrée‘s “Vis à Vis”, or Face to Face, published in 1979, is entirely played on a Bösendorfer grand piano, but instead of the brick and mortar barrage of fortissimos this kind of instrument is prone to (think Cecil Taylor, for instance), here it is used to enunciate semi-detached, tentative piano chords and to explore different shades of silence, so to speak. 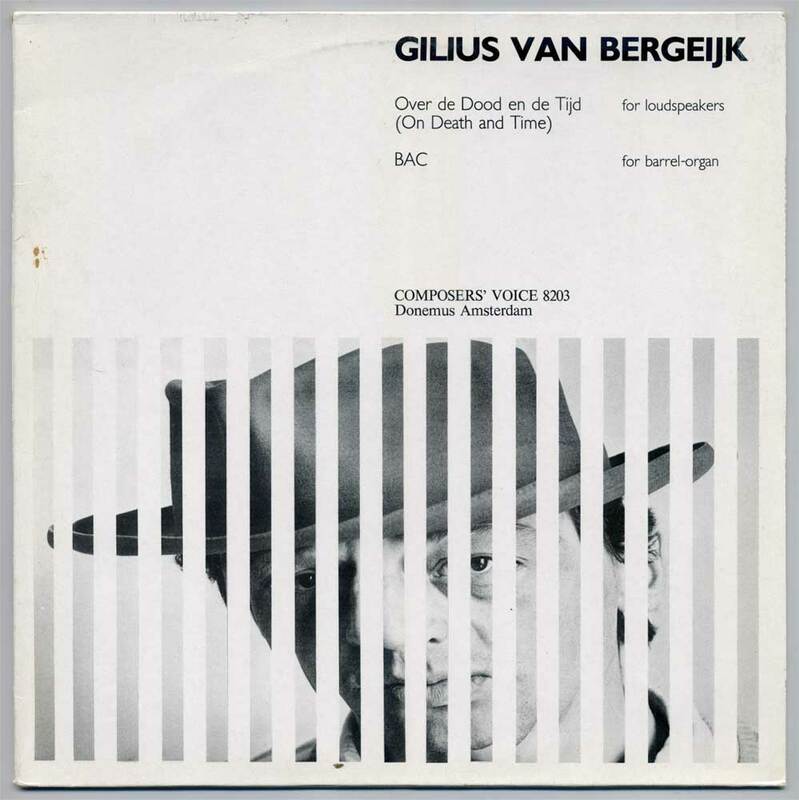 In this respect, Vis à Vis is very close to Spanish composer Federico Mompou‘s piano cycle Musica Callada, or Silent Music (1959-67), itself a cornerstone of European minimalist music. 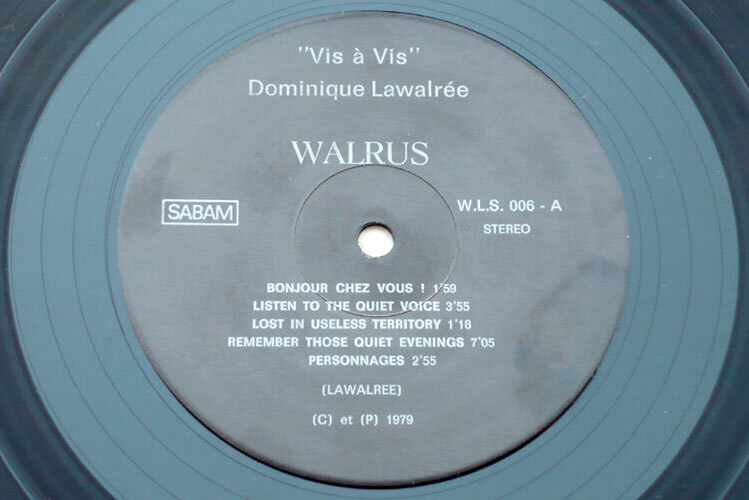 Vis à Vis is a kind of update of Musica Callada, incorporating Lawalrée’s typical Belgian saudade and sublimely nostalgic mood. 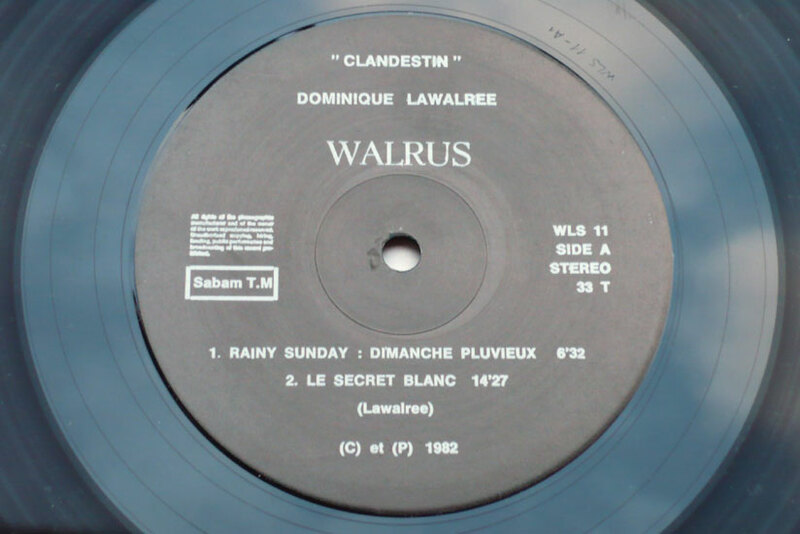 This music suits rainy days well, I find. 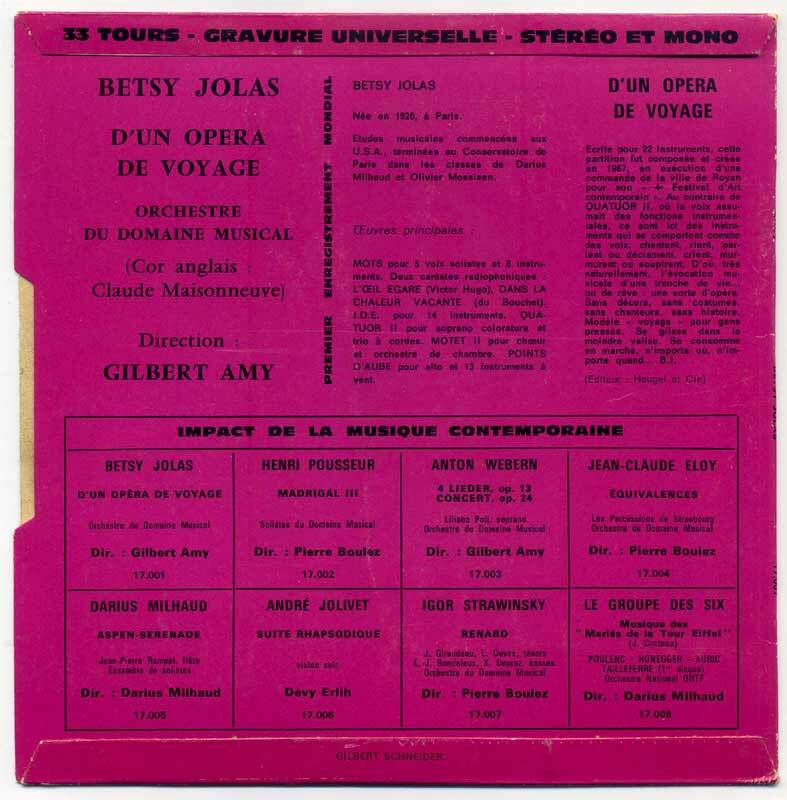 Born in 1926, French contemporary music composer Betsy Jolas was a Domaine Musical associate during the 1960s and her first compositions were interpreted by Boulez’s Orchestre du Domaine Musical – see official website–, yet she remained an independent composer and did not adhere strictly to the Serialist dogma. 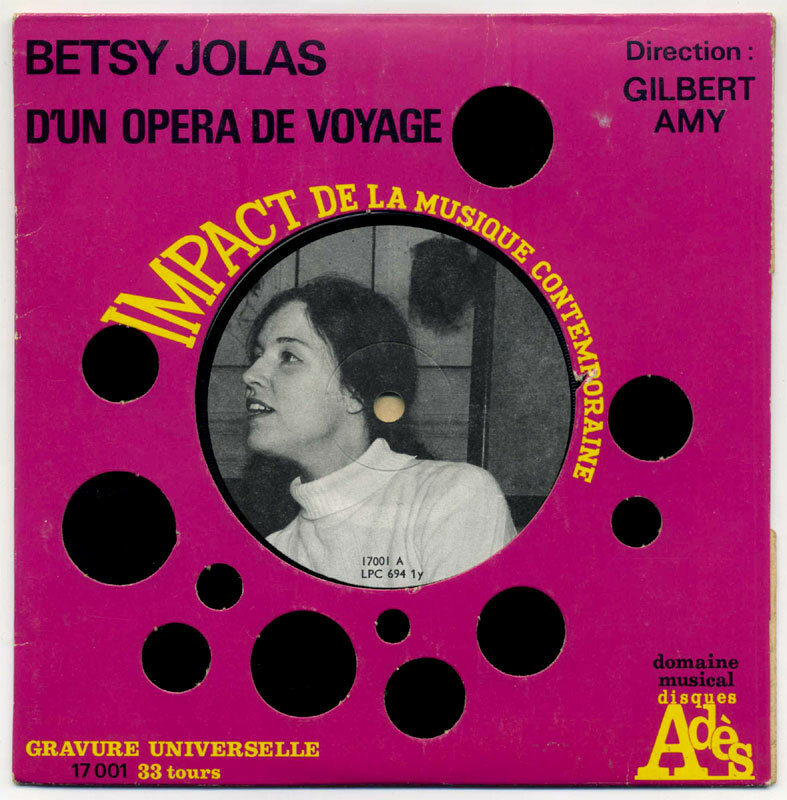 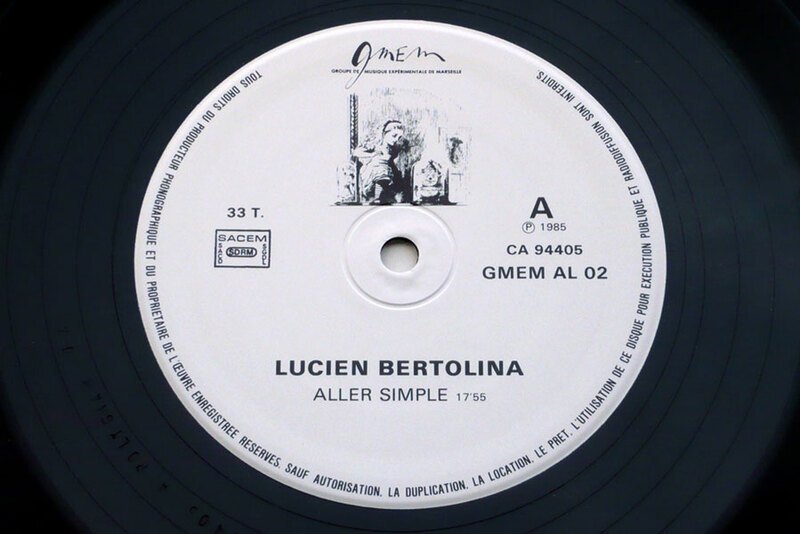 Recorded in 1969 by the Domaine Musical conducted by Gilbert Amy, this disc was Betsy Jolas’ first record release, published in the highly collectible Impact de la Musique Contemporaine collection of 7inch singles, appearing on Disques Adès between 1969 and 1974 (see gallery and discography here). 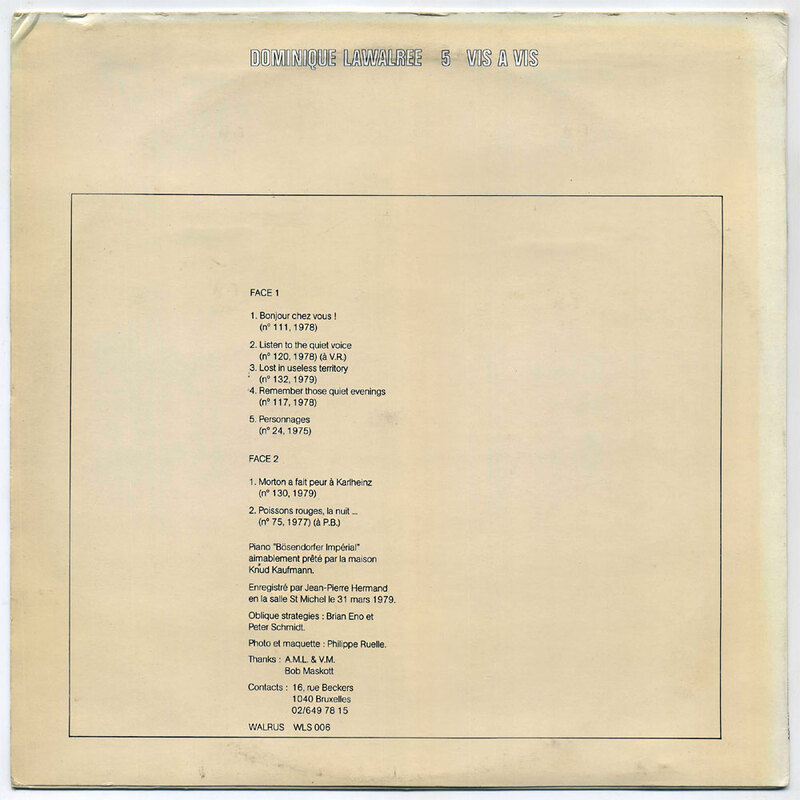 Adès was Pierre Boulez’s record company during the 1960s and published his Schoenberg Pierrot Lunaire LP in 1962 and the Marteau Sans Maître LP in 1964. 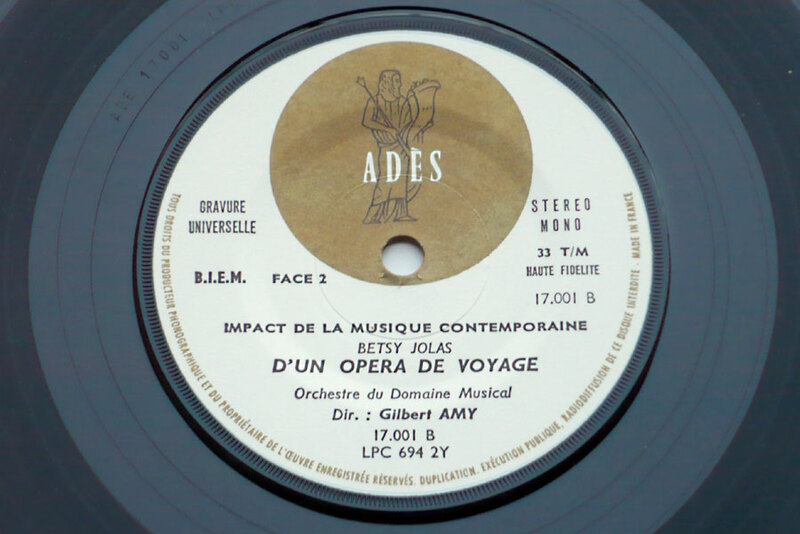 ♫ Composed for a small orchestra of 22 instruments, D’un Opéra de Voyage was premiered in 1967 at the Festival de Royan by the Orchestre du Domaine Musical conducted by Michael Gielen. 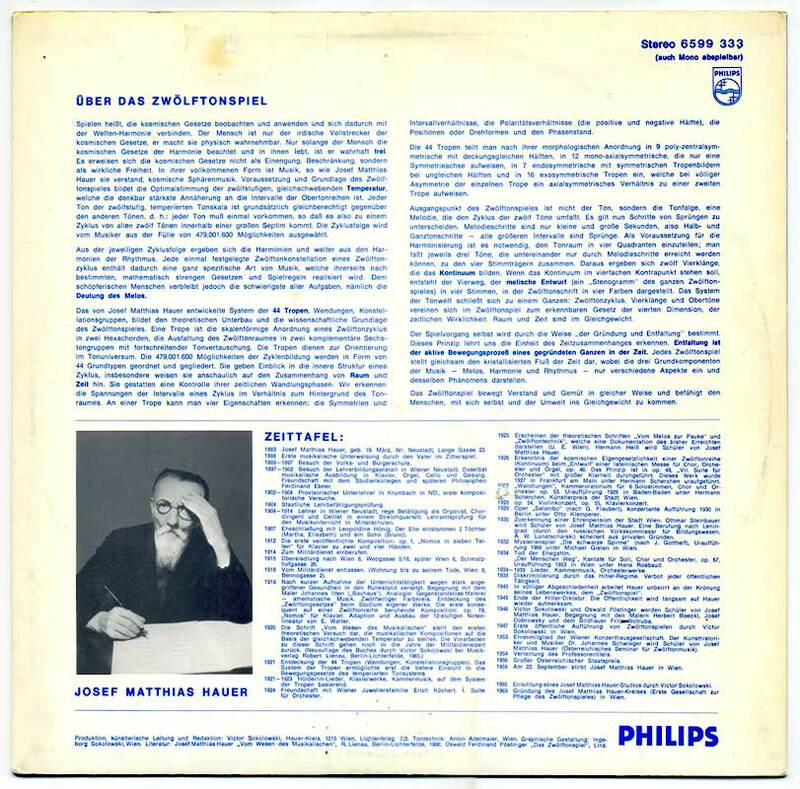 It belongs to a series of orchestral and chamber music works Jolas calls “opera” (also including D’un opéra de Poupée en Sept Musiques and Frauenleben, both 1982) despite the absence of singer. 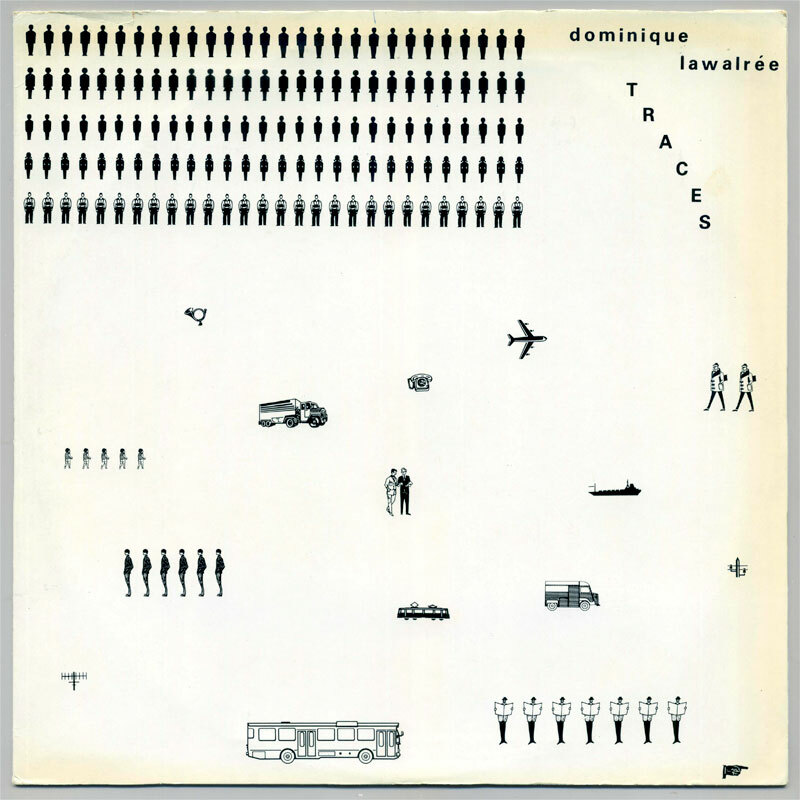 The imaginative instrumentation of D’un Opéra de Voyage recalls the Stravinski of Renard or L’Histoire du Soldat, in part due to the use of isolated percussion and reeds, while hints of Klangfarbenmelodie point to the influence of Webern on mid-century European composers. 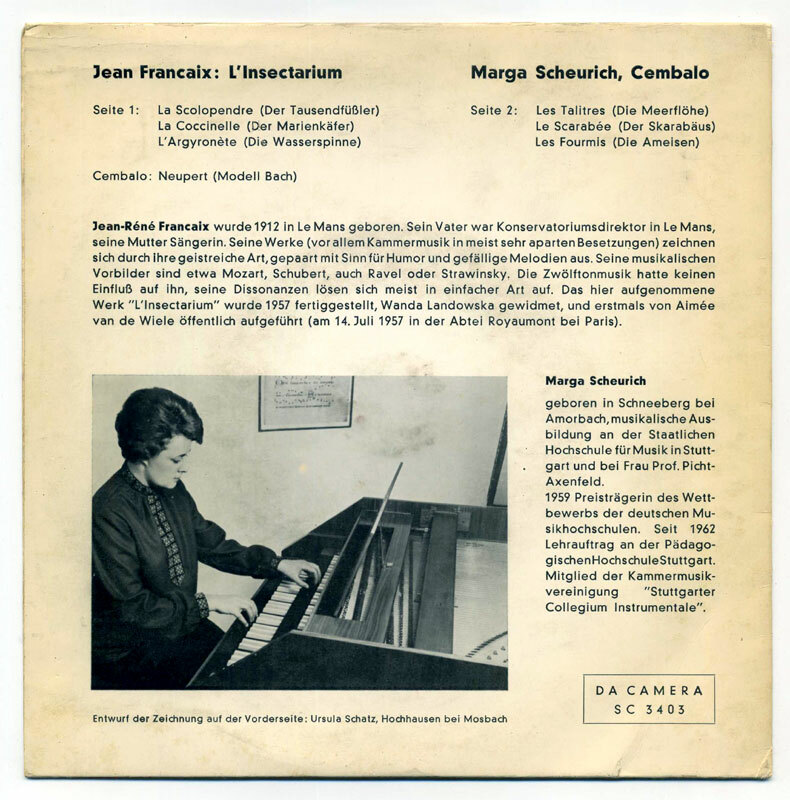 Composed in 1953, the short harpsichord cycle L’Insectarium (The Insectarium) by French composer Jean Françaix (1912–1997) was premiered in 1957 by the legendary harpsichord player Wanda Landowska. 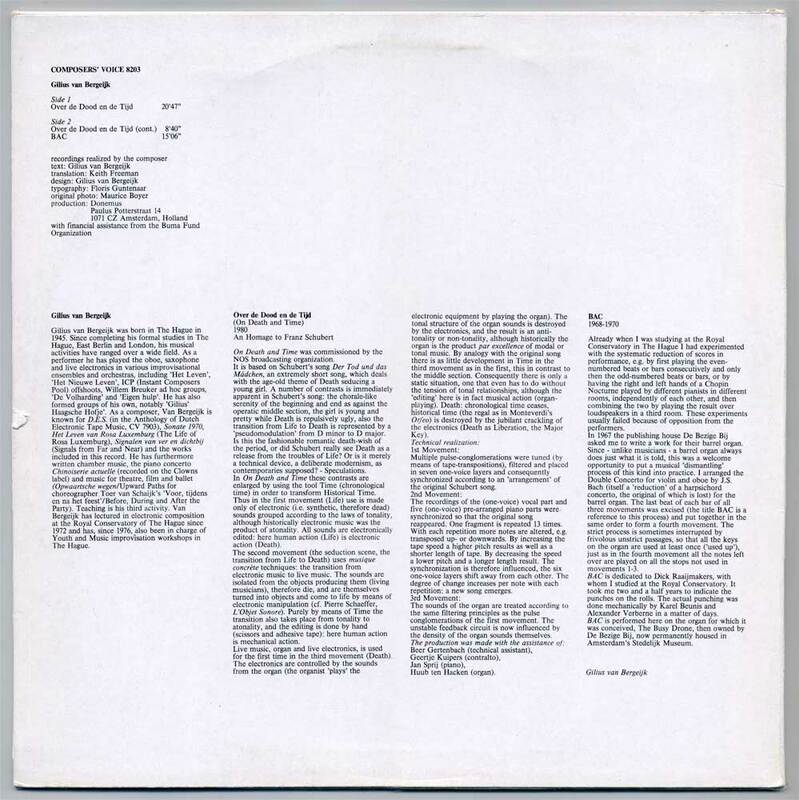 It is here interpreted by Marga Scheurich, a Johan Sebastian Bach specialist and member of Stuttgarter Collegium Instrumentale, and later Stuttgarter Kammermusikensemble and Stuttgarter Kammerorchester. 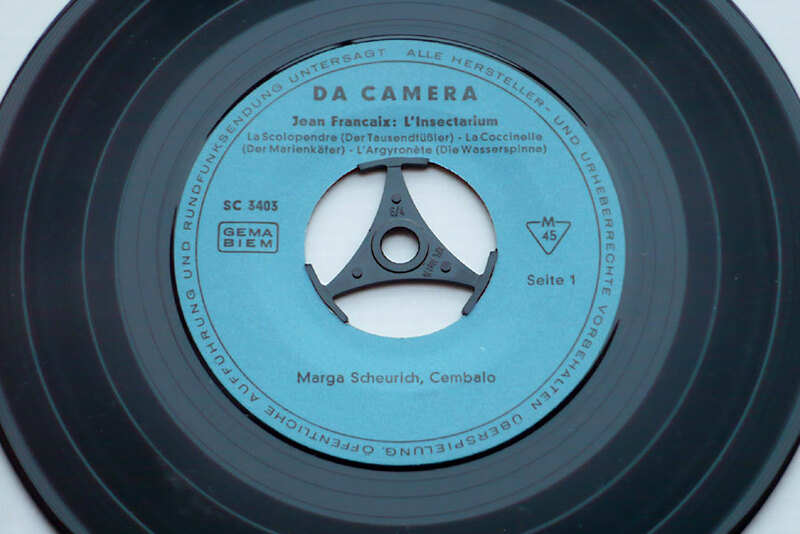 German label Da Camera (founded 1962) published several harpsichord records with Scheurich in the 1960s, including Pachelbel’s Hexachordum Apollinis 1699. 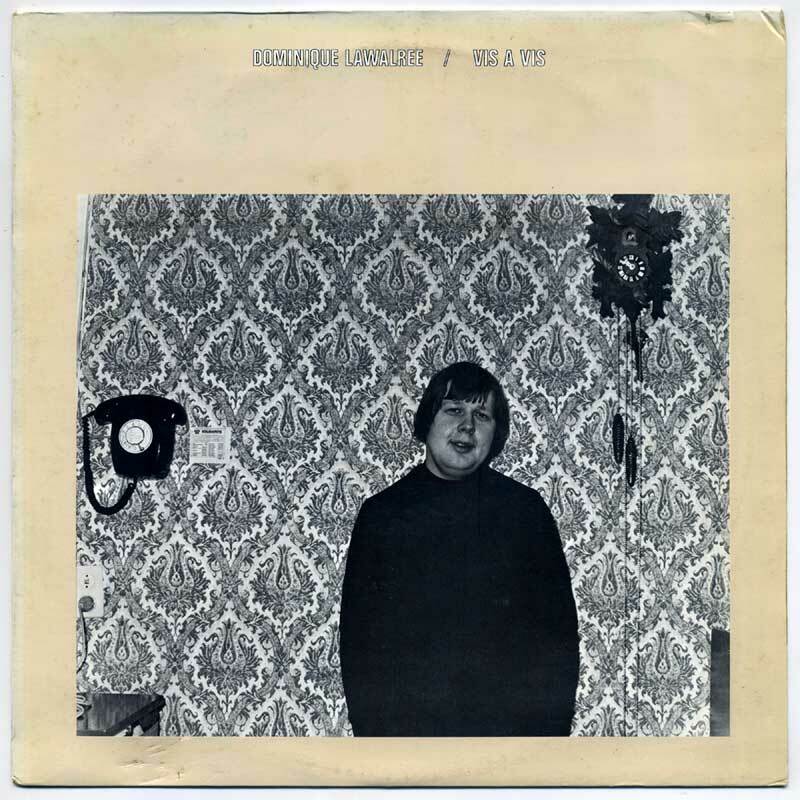 Scheurich plays a German harpsichord with a specifically German Baroque sonority, not without its own charm, but not the kind of instrument one would expect in French harpsichord music. 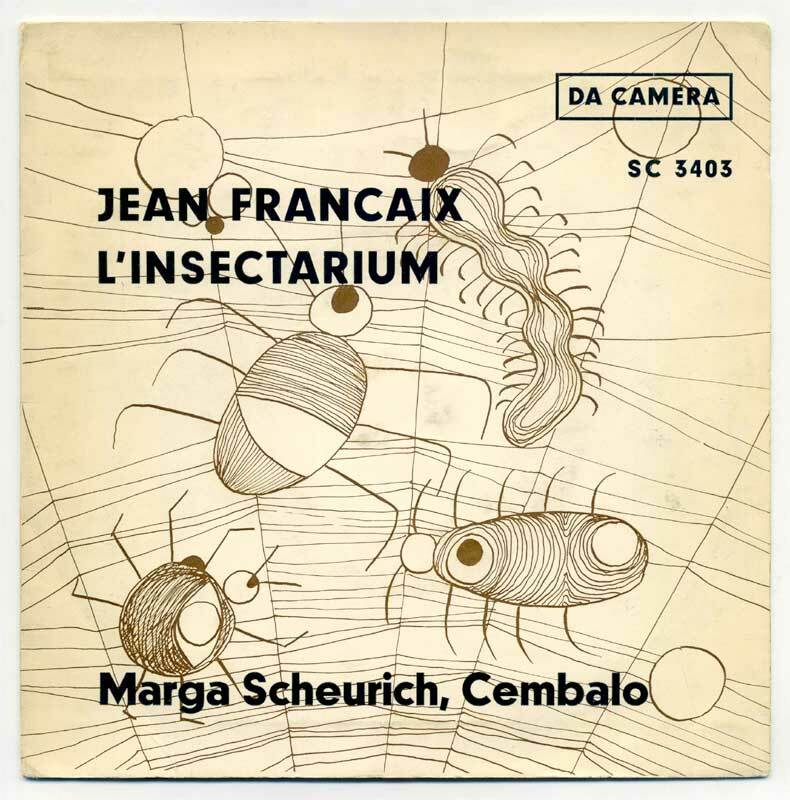 Anyway, her playing is lively and contrasted, as required by a colorful score inspired by the world of insects, as each part of L’Insectarium is named after, and inspired by, an insect. 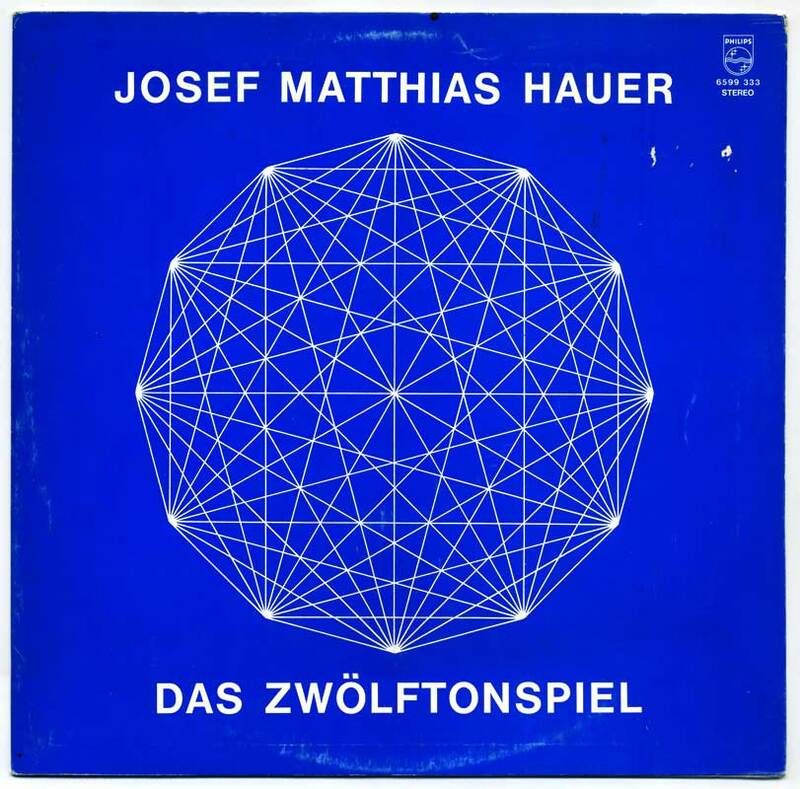 Austrian composer Josef Mattias Hauer (1883–1959) claimed to be the inventor of the twelve-tone composition technique in 1919–20, yet he didn’t have the charisma and mentorship that could have brought him the fame of Arnold Schoenberg’s dogma. 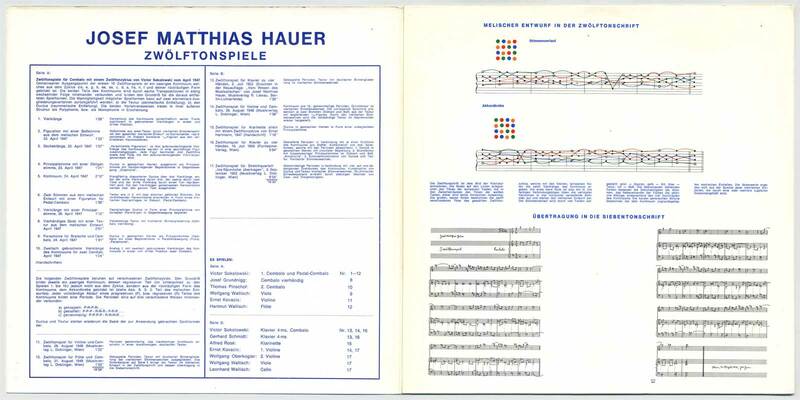 Hauer’s music is based on a strict, obligatory use of all 12 notes of the chromatic scale and an arithmetical and mystical approach to composing. 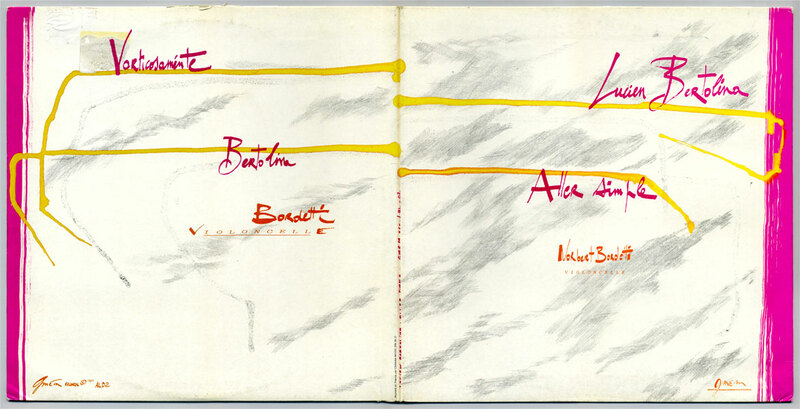 His interest for color music was inspired by Goethe’s Farbenlehre, and he devised correspondences between certain colors and notes, a system he developed in diagrams and drawings. 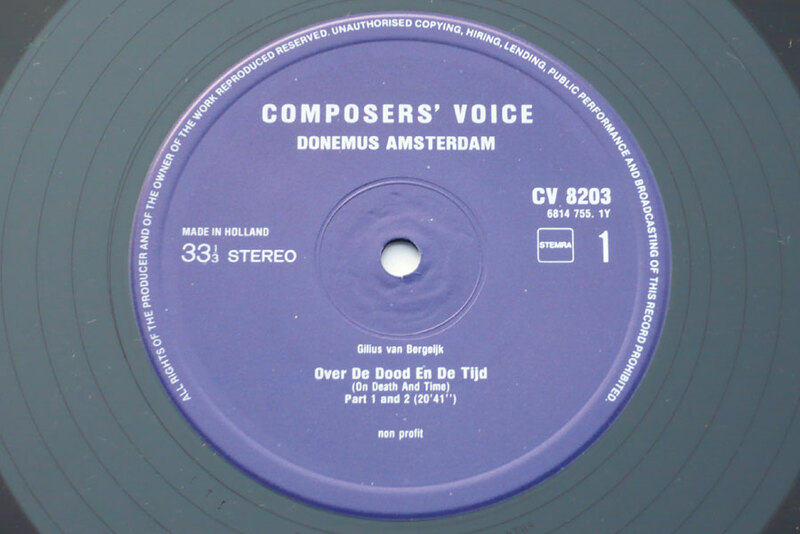 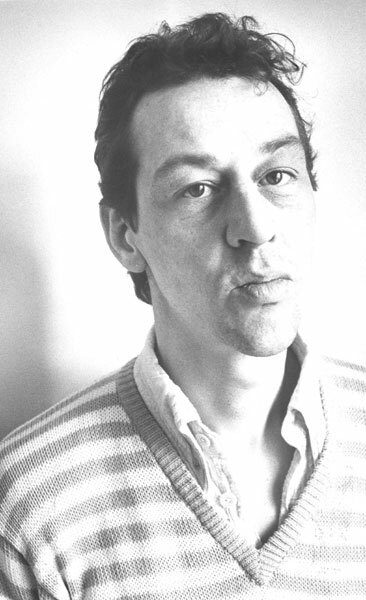 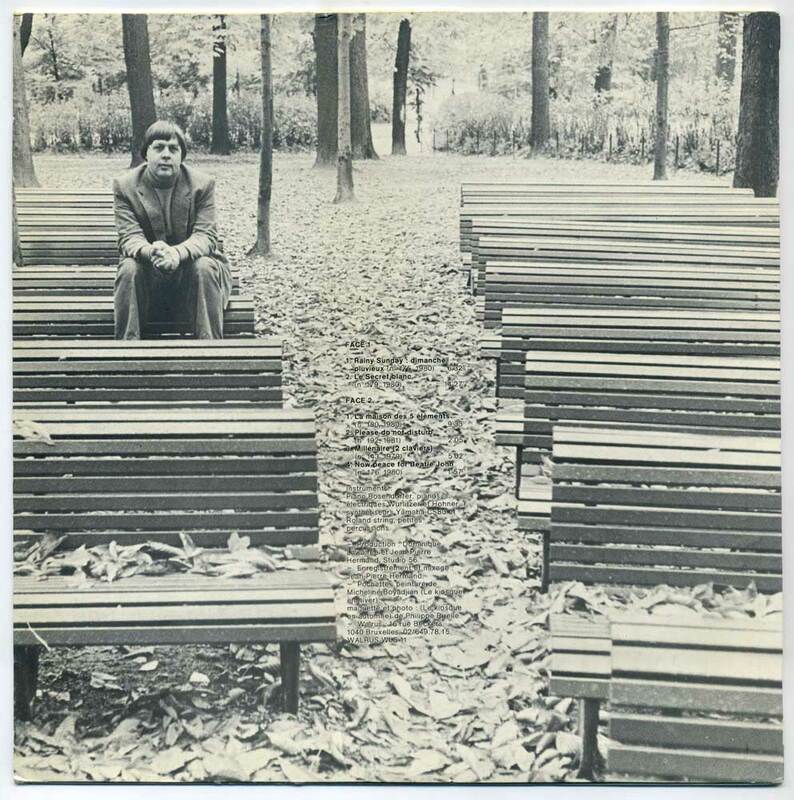 He wrote for solo instrument, chamber ensemble, orchestra and opera. 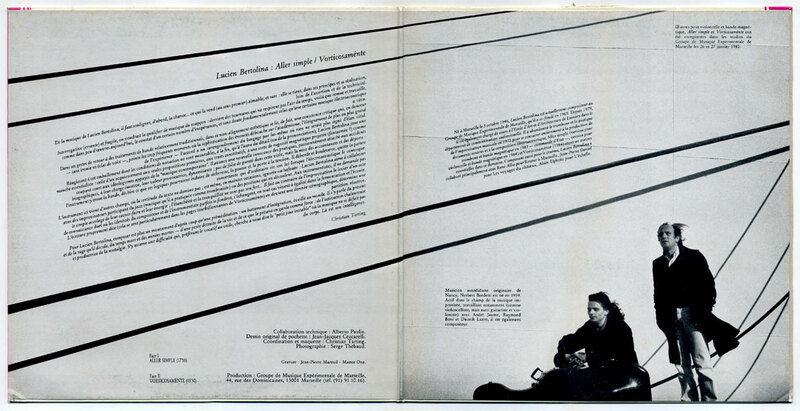 After 1940, he composed exclusively in the Zwölftonspiele, or Plays on Twelve Tones, technique, creating a great number of, yet unpublished, works, most of them without title except for the date of composition or instrumentation required. 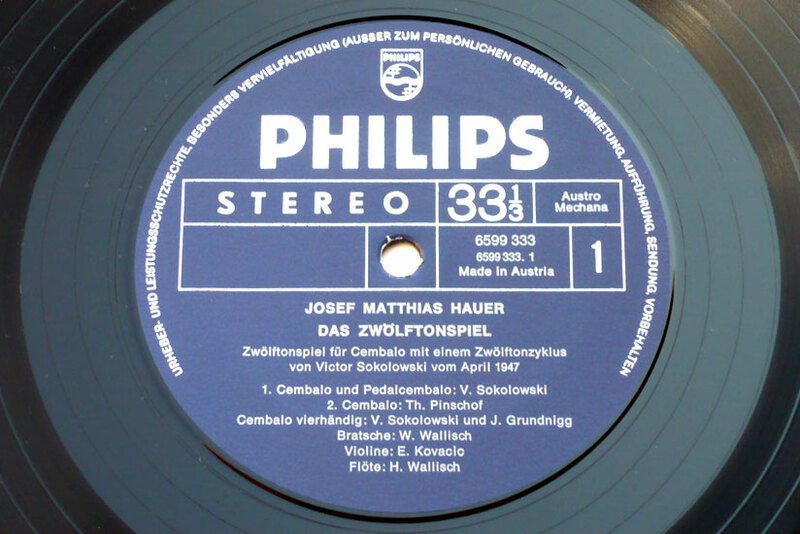 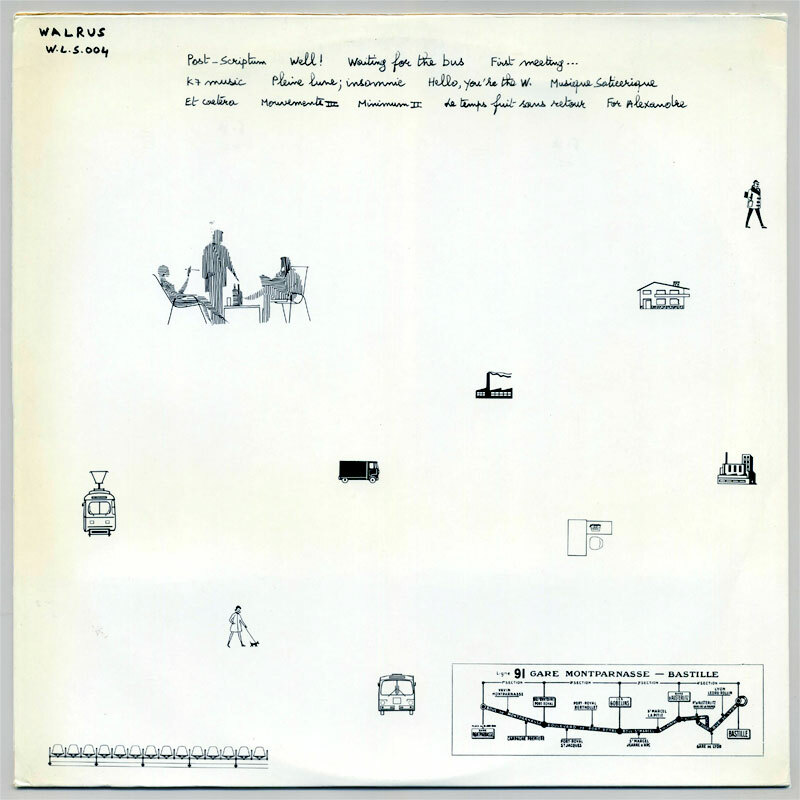 This disc features a selection of Zwölftonspiele, mostly played on harpsichord, or Cembalo, by Viktor Sokolowski (1911-82), a student of Hauer.